I have been having a big tidy up in my studio, emptied all the display cabinets and gave everything a thorough clean. 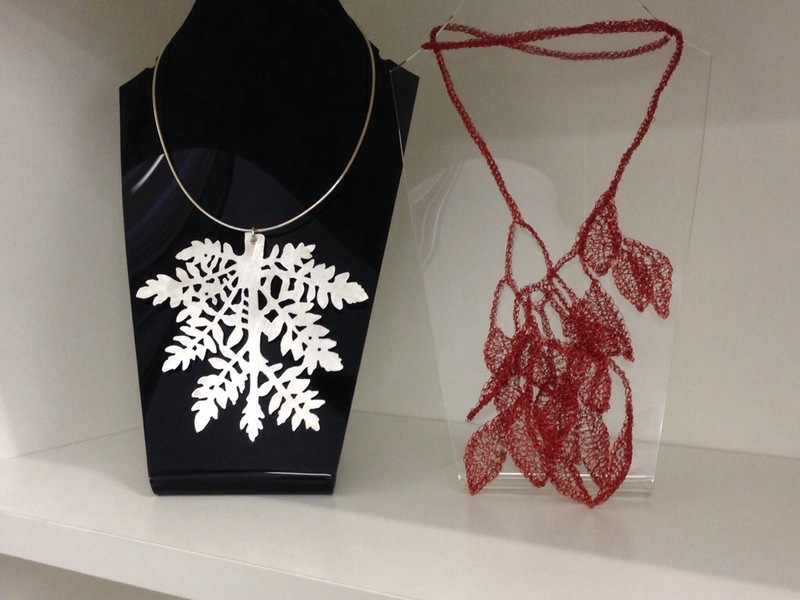 I have redisplayed some of my work and now have a whole cabinet and plant and flower inspired jewellery. These are two pieces, the first made from sterling silver sheet was inspired by Victorian pressed plants in Whitby museum and the other is crocheted in wire and is a much earlier piece of textile related jewellery. 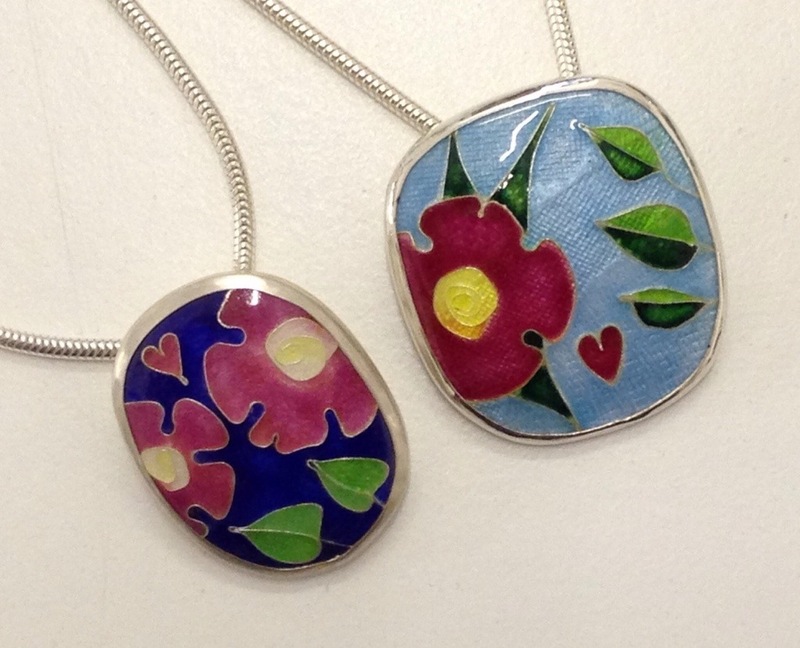 I have included these two pretty cloisonné enamel pendants that I made a few years ago and think that next year I need to find time to do more of these. I am in the process of planning my teaching schedule for 2014 and it will include plenty of opportunities to learn to enamel, both on silver and copper, as well as classes in the New Mokume Gane techniques – including the four day certification course developed by Aida Corporation, the manufacturers of Art Clay products. If you would be interested in taking a class then just use the comments box to contact me (I won’t publish your details). I look forward to seeing some of you in the new year!